Democratic challenger Tom Wolf leads Gov. Tom Corbett (R) by 17 percentage points among likely voters in Pennsylvania – 55 percent to 38 percent – as the campaign enters its final month, according to a Quinnipiac University Poll released Tuesday. The survey shows a slight improvement for Corbett compared to the last Quinnipiac Poll of the race Sept. 11, when Wolf led 59 percent to 35 percent among likely voters. Full recovery continued to elude the Philadelphia region’s residential real estate market in the first quarter of this year, as the value of a typical home fell 4.9 percent from the last three months of 2013. Suburban price declines were greater than the city’s during the quarter – 5.3 percent versus 4 percent, Gillen said. Unemployment in the Pittsburgh metropolitan area fell to 6.8 percent in June, a rate one-tenth of a percentage point below May’s 6.9 percent but that marks a new low of the post-recession recovery. The last time unemployment was at 6.8 percent in the region was in March 2009, when unemployment was rising in the midst of the Great Recession. WASHINGTON, D.C. – The richest Americans got richer during the first two years of the economic recovery while average net worth declined for the other 93 percent of U.S. households, says a report released today. The upper 7 percent of households owned 63 percent of the nation’s total household wealth in 2011, up from 56 percent in 2009, said the report from the Pew Research Center, which analyzed new Census Bureau data released last month. The main reason for the widening wealth gap is that affluent households typically own stocks and other financial holdings that increased in value, while the less wealthy tend to have more of their assets in their homes, which haven’t rebounded from the plunge in home values, the report said. Tuesday’s report is the latest to point up financial inequality that has been growing among Americans for decades, a development that helped fuel the Occupy Wall Street protests. HARRISBURG, PA — Pennsylvania‘s richest citizens pulled away from the state’s poorest during the go-go 1990s, and that trend continued as the bottom began to drop out of the economy, a new study concludes. Between the late 1990s and early 2000s, the annual incomes of the richest fifth of state households grew by 7.2 percent, or $11,190, to $269,400 while the poorest fifth saw their average income fall nearly 8 percent, or $1,907, to $23,000. Income inequality also grew between upper and middle-income families in the state. Middle-income families saw their earnings rise by just 1.9 percent between the late 1990s, compared to 7.2 percent for the richest fifth and 11.2 percent for the richest 5 percent of households, the study concluded. City police, especially those hired this year and in the future, will take major pay and benefit cuts now and when they retire, according to a five-year contract handed down Friday by a panel of arbitrators. The panel froze officers’ salaries and step increases for three years and cut starting salaries, vacation time and sick leave in the new contract, which is retroactive to January 2012. In setting the terms, the panel followed the city’s Act 47 financial recovery plan to cut millions of dollars a year from police costs. For employees hired before the old contract expired at the end of 2011, the panel kept that contract’s pension benefits – up to 70 percent of working salaries, the ability to buy years of service to raise that pension, and city-paid retiree health insurance. 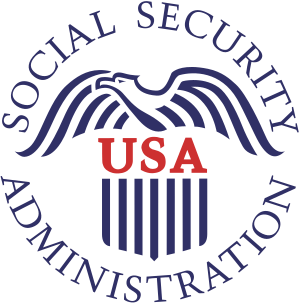 WASHINGTON – Social Security recipients shouldn’t expect a big increase in monthly benefits come January. Preliminary figures show the annual benefit boost will be between 1 percent and 2 percent, which would be among the lowest since automatic adjustments were adopted in 1975. Monthly benefits for retired workers now average $1,237, meaning the typical retiree can expect a raise of between $12 and $24 a month. The size of the increase will be made official Tuesday, when the government releases inflation figures for September. The announcement is unlikely to please a big group of voters – 56 million people get benefits – just three weeks before elections for president and Congress. The cost-of-living adjustment, or COLA, is tied to a government measure of inflation adopted by Congress in the 1970s. It shows that consumer prices have gone up by less than 2 percent in the past year. According to the Pennsylvania Department of Labor and Industry, the commonwealth’s seasonally adjusted unemployment rate was 7.6 percent in December, down from 7.9 percent in November. Pennsylvania’s unemployment rate was below the U.S. rate of 8.5 percent, and has been below the U.S. rate for 62 consecutive months. The Center For Disease Control has released their 2009 U.S. state by state obesity rates. Not good news for many Americans. Colorado had the lowest obesity rate at 18.6 percent. Only Washington DC had a rate below 20 percent, coming in at 19.7 per cent. Seven states had rates over 30 per cent. 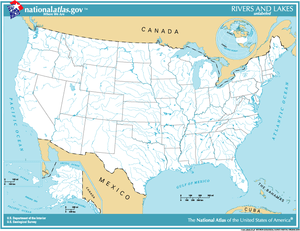 Mississippi topped the chart at a whopping 34.4 percent! Pennsylvania’s obesity rate was 29.4 percent in 2009. The Pennsylvania Department of Labor and Industry has released the jobless rate for March 2011. There is good news all around. York County‘s unemployment rate fell to 7.2%, down from 7.6% in February. The U.S. unemployment rate fell to 8.8% , down from 8.9% in February. Pennsylvania’s jobless rate is an entire point below the national average and York County is .6% less than the state average. 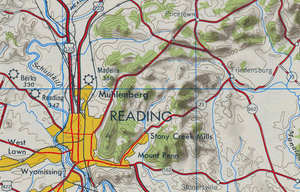 Some better economic news for the City of Reading and Berks County was released for February 2011. The jobless rate in Berks County fell to 8.1 percent and the City of Reading’s jobless rate dropped to 12.5 percent. Berks County saw a third straight month of decline in the unemployment rate. State and local government hiring helped lower the jobless rate. 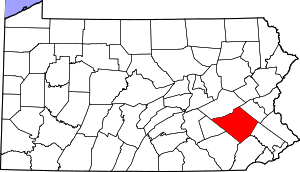 Schuylkill County (Pottsville) saw a decline in their jobless rate to 9.1 percent. The State College metro area had the lowest jobless rate at 5.3 percent. Other metro areas with low jobless rates were Lebanon (6.3 percent), Lancaster (6.8 percent), Pittsburgh (7.0 percent), Harrisburg (7.1 percent) and York (7.6 percent). Reading and Johnstown tied for the third-highest jobless rate for PA cities (12.5 percent). Allentown was second with 12.7 percent and Hazleton took top honors with 14.9 percent. Bradford County had the lowest county jobless rate with 5.1 percent. 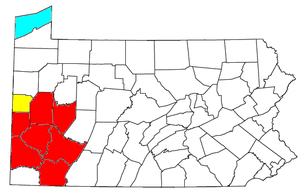 This is due to the Marcellus Shale natural gas drilling in Bradford County. Pennsylvania’s jobless rate was 8.0 percent and the U.S. rate was 8.9 percent for February 2011.